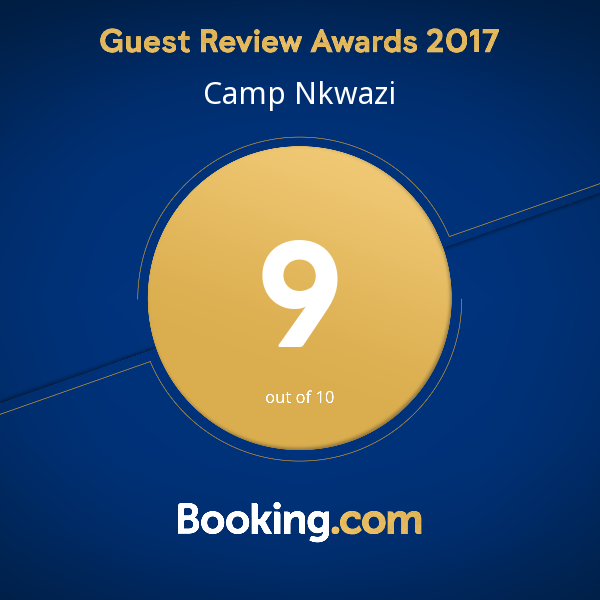 Camp Nkwazi is a new, breathtaking lodge that opened in 2013 and only after 2 years, already been awarded by TripAdvisor with: "Certificate of Excellence - 2015, 2016 and 2017 Winner." 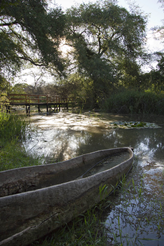 Camp Nkwazi is located close to the Mosi-Oa Tunya, Chobe and Kafue national parks and right opposite the Zambezi National Park. Experience all the comfort you are entitled to without sacrificing the experience of being close to nature in either, 10 Luxury Self-Catering Chalets or 13 Luxury Camp Sites. Each of the 10 luxury self-catering "tented" chalets are tastefully furnished and equipped with all the necessary utensils to ensure that you totally sink into comfort and relaxation at Camp Nkwazi. Thoughtful - 2 chalets are converted to wheelchair accessible. 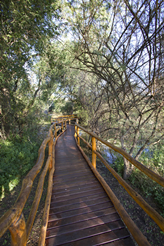 The 13 unique, "Best in Africa", lawn covered camp sites, cleared in the forest with luxury ablution and scullery facilities, will ensure all campers to return. 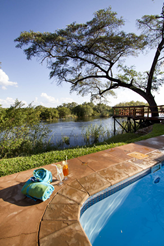 For your convenience, Camp Nkwazi offers you a restaurant, bar and swimming pool. 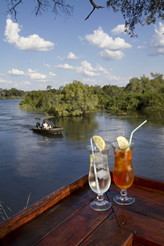 Ensure enough time at Camp Nkwazi, not only for relaxing in the African bush with indescribable bird life, but also to participate in the nearby activities with the likes of helicopter or microlight flights, fishing, game viewing, canoe, makoro or boat trips on the Zambezi, elephant rides, lion encounters, Vic Falls day trip and swimming in the spectacular devil's pool etc.etc. 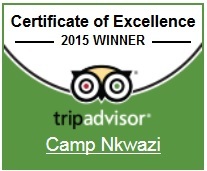 Camp Nkwazi is not a stopover. It's a destination.